7. Motivation – Being motivated to get in shape and to condition myself to run has always been an issue, I hate running! 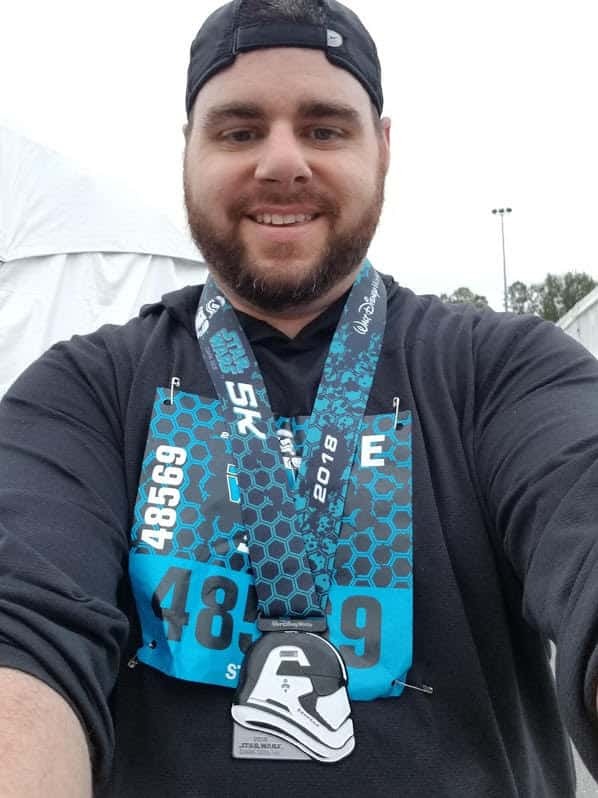 As 5Ks go this one was a little pricier than most and took place all the way in Orlando (I live in Kansas City) so I knew by putting the money down and booking a flight and hotel I’d have “skin in the game” and it would motivate me. In the time training I lost over 30 pounds and ran further than I ever had before! 6. Comradery- From what I’ve learned over the first year I spent as a part of the running community this is something unique in this sport. Everyone has been wildly supportive and positive. Disney’s races are a notch up though, something I call the Disney impact. Positivity and good vibes ooze out of anything Disney, and you’ll feel that as you run past volunteers and cast members cheering you on! 5. Character- This race was pretty unique; the costumes people wore were incredibly creative and detailed. I thought my all black Nike outfit #GoDucks 😉 was a slight nod to the Sith Lords, it was lost in a sea of much more thought out and elaborate costumes. If you simply went to people watch you’d be in for a treat…but also Characters, you’ll have the opportunity to snap photos with Characters you won’t see out and about at the parks! 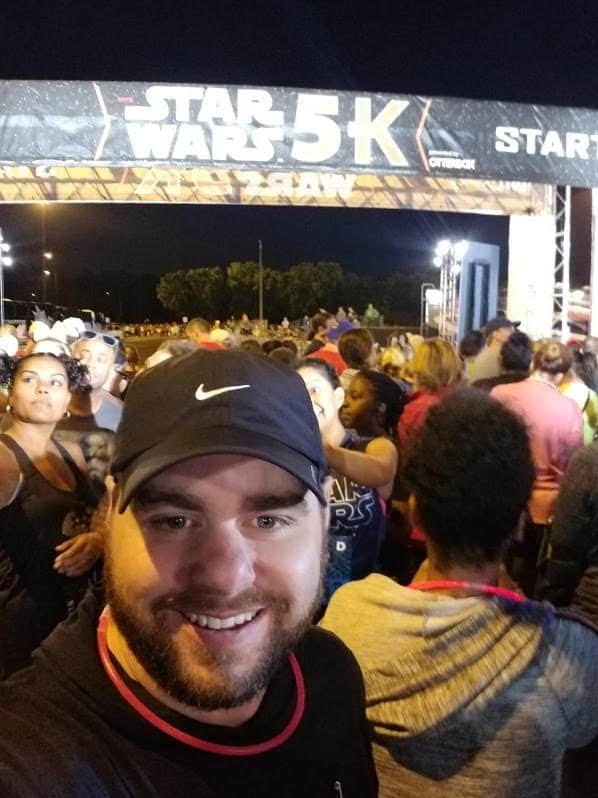 At our race Boba Fett, Phasma, Joba the Hutt, Darth Vader’s Chair, Chewy, Kilo Ren, Execution Trooper, Storm Trooper and those are just the ones I remember. 4. Scenery-You run through Disney Parks! The 5K took me through EPCOT, but the Half Marathon runners ran through Animal Kingdom, Hollywood Studios and EPCOT, and if you don’t think that’s awesome, what’s wrong with you?!?! 3. Wellness Expo – This was a really cool surprise I wasn’t expecting, before the race you pick up your running bib and then you go into the Wellness Expo to pick up your race t-shirt. There were so many cool booths and exhibits. You could buy unique merchandise and even win some prizes! 2. Medals – Disney’s medals are really cool heavy medals with big, thick ribbons! 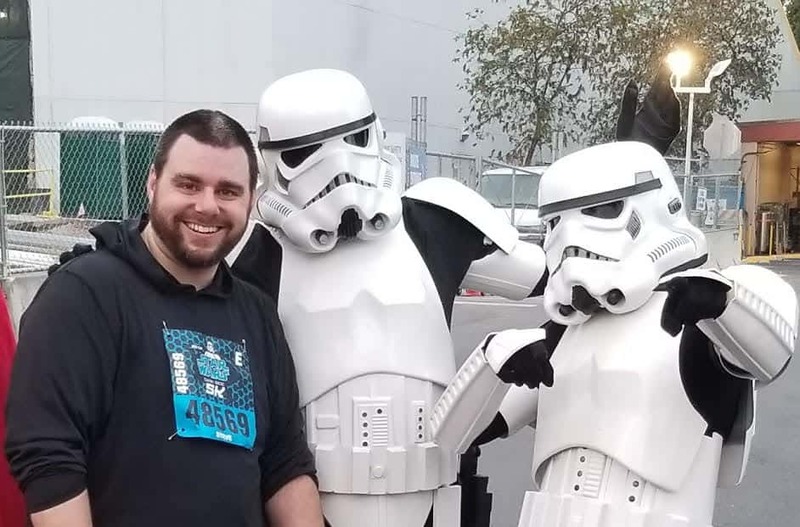 My 5K medal featured an executioner Storm Trooper! It’s painted beautifully and really is a piece of art! 1. DISNEY MAGIC- Before you know it the race is over and you’re looking at how you’re going to get back for another race…and if you know me and running that’s magic in it of itself. But the race for me was part of a mini-vacation with a couple of park days thrown in, and I can’t wait for my next Run Disney race! I never even knew that Disney had races–not really surprising since I do not run in a race or anywhere else for that matter!! It does sound like a great way to get motivated –as for me I would not mind in least being a spectator and cheering all of you on!! I am not a runner either, at all. The 5K is very relaxed on the pacing and it had people of all ages and skill levels. Running and races is not at all my thing and I didn’t feel out of place for one second. Very welcoming and fun atmosphere! I’ve been running for about 14 years now. I have ran several races, mostly 5K’s. 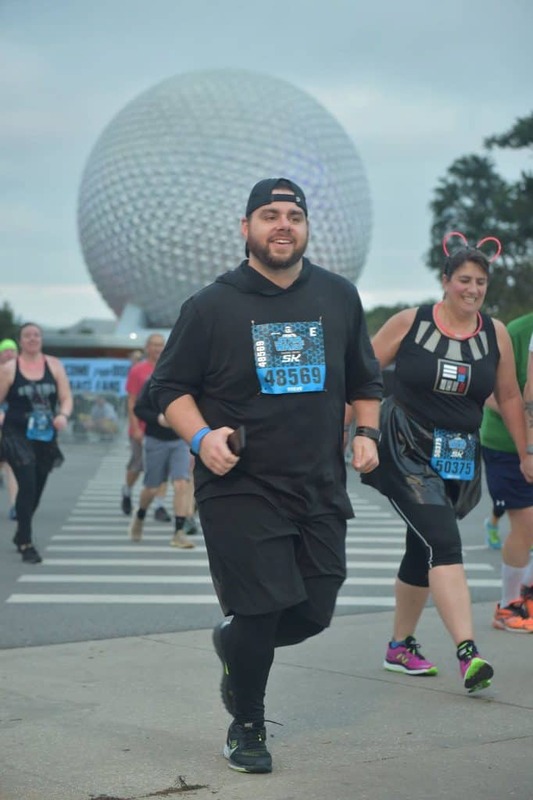 I live in Orlando, Florida, so I have ran various Disney races, even the Disney marathon. 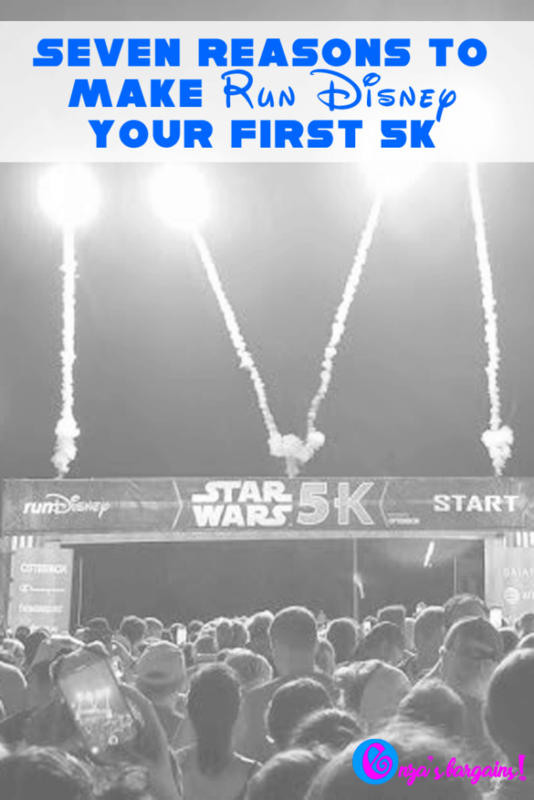 There is nothing like the experience of a Disney race to get you more motivated to run. They really do a great job.